The floor of acetabulum is broken and its fragments open to the pelvis and the femoral head is dislocated likewise. Fracture of both arms of pubic bone. 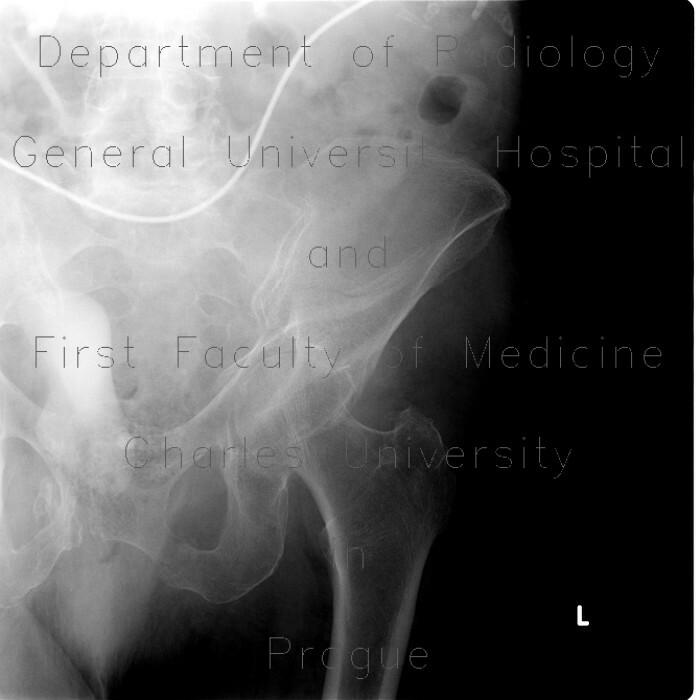 Several fracture lines into the iliac wing as well.